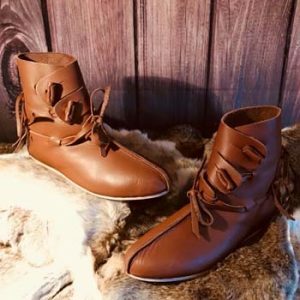 These Skj?ld Boots are based on an archaeological discovery from?Haithabu, these comfortable leather, above ankle boots are secured by four toggles across the front of the leg which can be individually adjusted for fit. 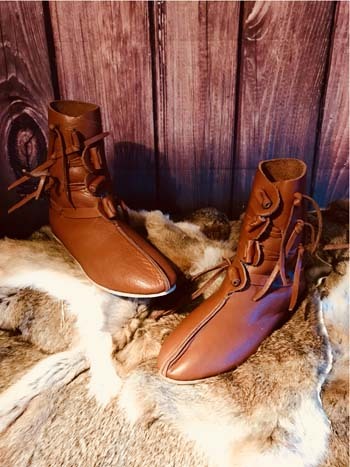 These type of boots were typically worn from about 800AD to 1100AD, use them for LARP, SCA or theatrical use, they will stand up to any scrutiny. 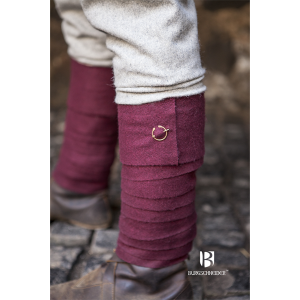 The boots are available in a wide range of European Sizes, please select from the dropdown.